I am (as you might have guessed with my previous posts) a bit of an Avon fan at the moment. Their products are such good value for money and even better is that along with that the quality is superb too. I have brought quite a lot of good pieces from their campaigns (brochures) recently and today I thought I would share with you these gorgeous perfumes (above). I am so impressed with the packaging on these. 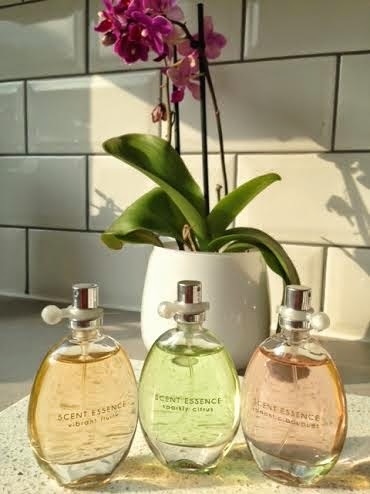 The cute, pretty bottles each reflecting the delicate colour of the scent inside, reminded me of the Marc Jacobs Splash collection that he brought out a few years ago: 'Rain', 'Cotton' and 'Grass'. 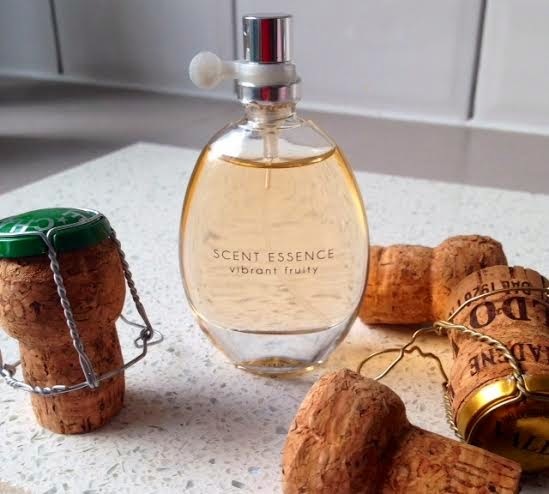 The Avon 'Scent Essence' range consists of "vibrant fruity", "sparkly citrus" and "romantic bouquet"...not as whimsically named as the Marc Jacobs but it still gives a mental image of what each perfume will smell like. 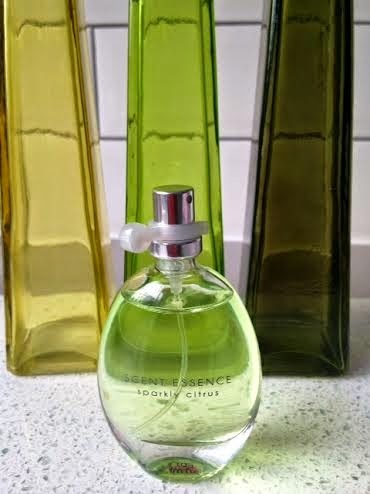 This perfume is true to its name - it is really fruity! It is described as juicy peach blossoms and captivating woods...I can definitely smell the peach in it and I think a hint of apple. It has a very sweet smell initially which you will either love or think is too sickly. I quite like this perfume, it is perfect for summer days and it does settle down very quickly into a lighter scent. It smells similar to 'DKNY Red Apple' and almost reminds me of Pimm's and Lemonade or the drink Shloer - Summer in a bottle! I have to be honest, the first spray of this to me does smell like toilet cleaner! I have never been a fan of woody scents, they give me a headache and I think the cedar wood is the overriding note in this perfume. You do get the lime coming through aswell although I think the whole scent is rather 'after-shavey' rather than a feminine scent. This is my least favourite out of the three - not my cup of tea. This for me is a really delicate, beautiful perfume. 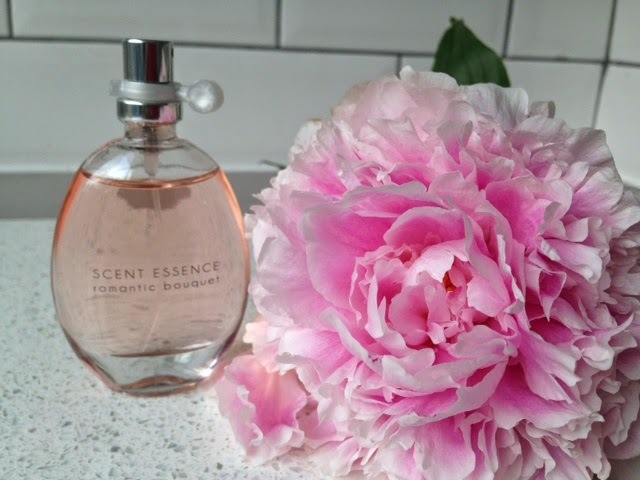 It gradually changes over time from strongly smelling of peonies to a lighter, fresher scent. Again, I think perfect for summer days - a lovely grown up scent. All these bottles are 30ml and are Eau de Toilette, so re-application is required after a few hours. There is a little plastic clasp around the spray pump to stop it from being inadvertently depressed which makes the bottles look even prettier, although it is annoying removing it each time - but I guess it is no different to removing a lid. 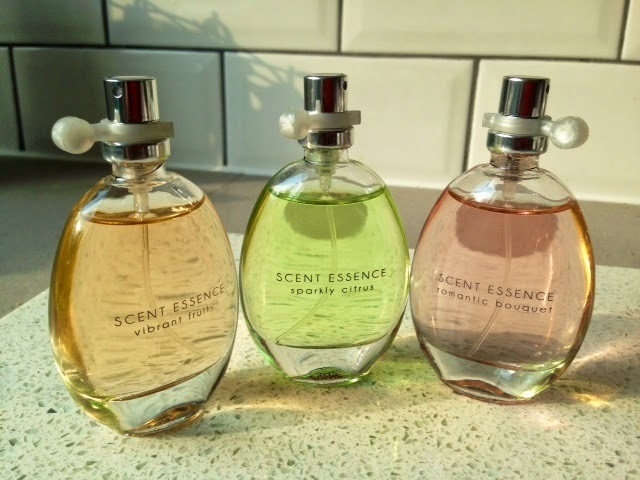 Priced at under £10 per bottle (correct at time of writing), these are a perfect buy, will look stunning on your dressing table and are compact enough to pop into your handbag aswell - thumbs up!